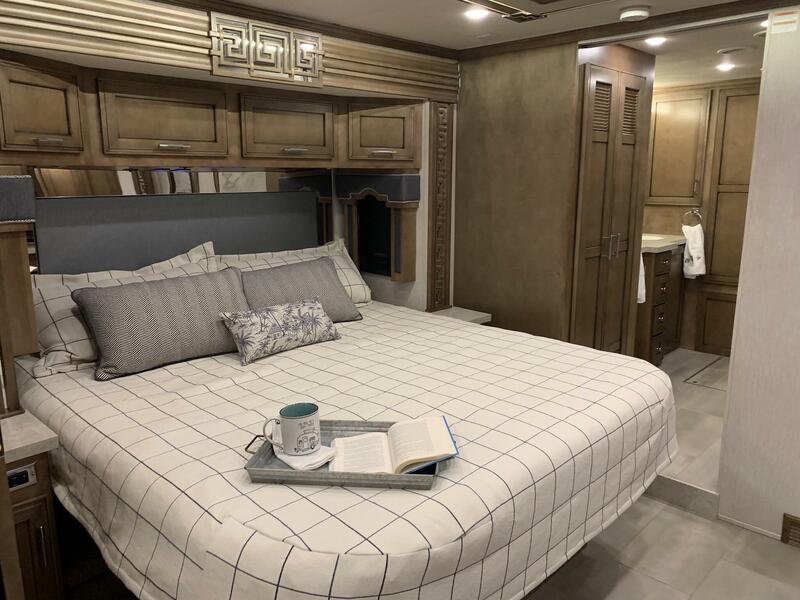 One specific item Newmar’s Floor Plan Team had as an objective for 2020 was to improve, even ever so slightly, the amount of room between the bed and the nightstands in its diesel products. The intent was to make it easier for the customer to make the bed and more easily getting their hands between the bed and the night tables. 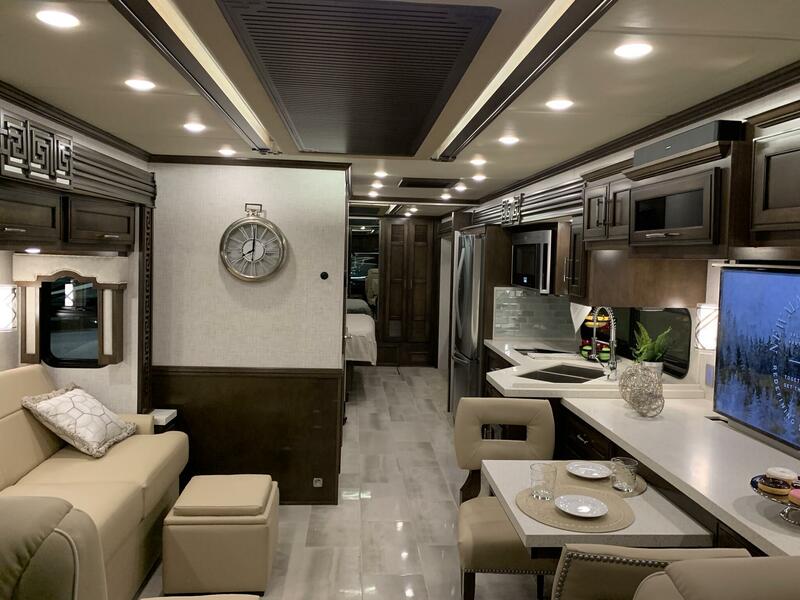 The Newmar Ventana for the 2020 model year goes through a complete life cycle change, which includes newly styled front & rear caps as well as new dash with digital electronic instrumentation. 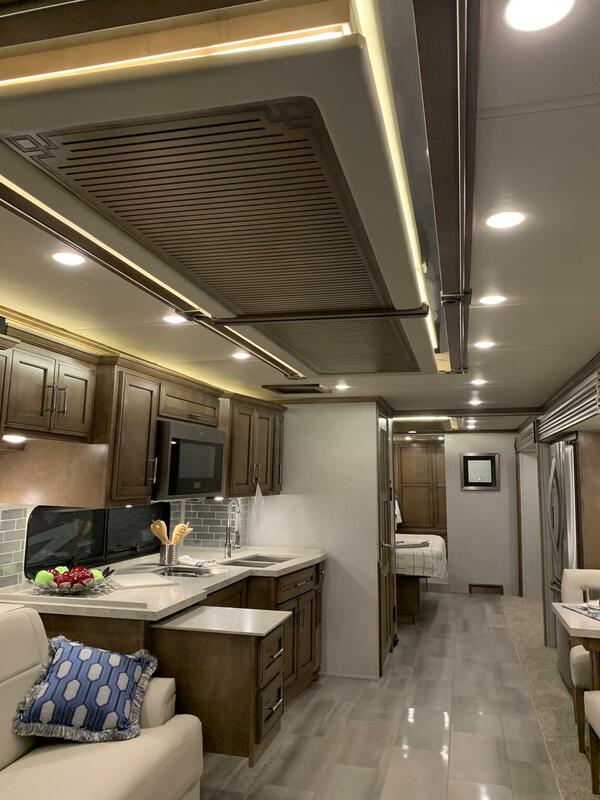 In addition, integrated Girard awnings have been added to the 2020 Ventana, giving this 2nd best-selling Newmar brand an entirely new profile and look. 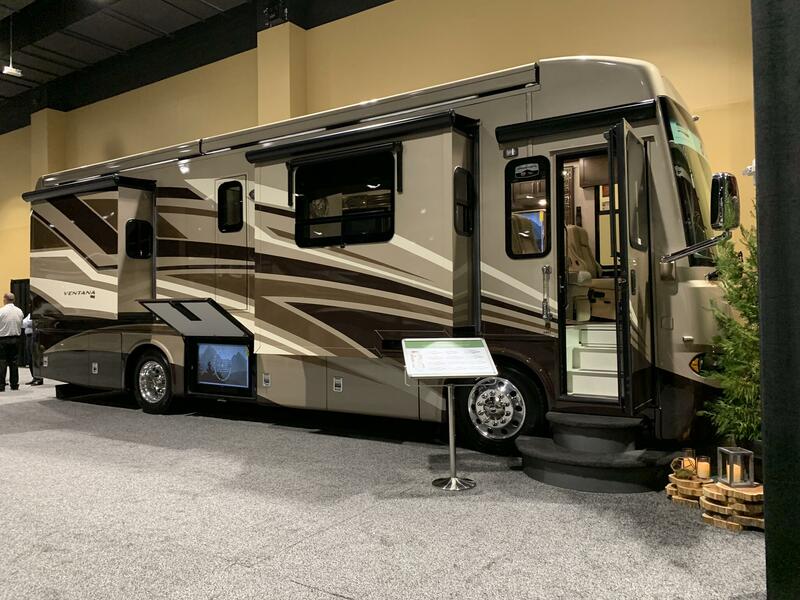 12 of the 13 Ventana model offered in 2019 are still available in the 2020 line-up. 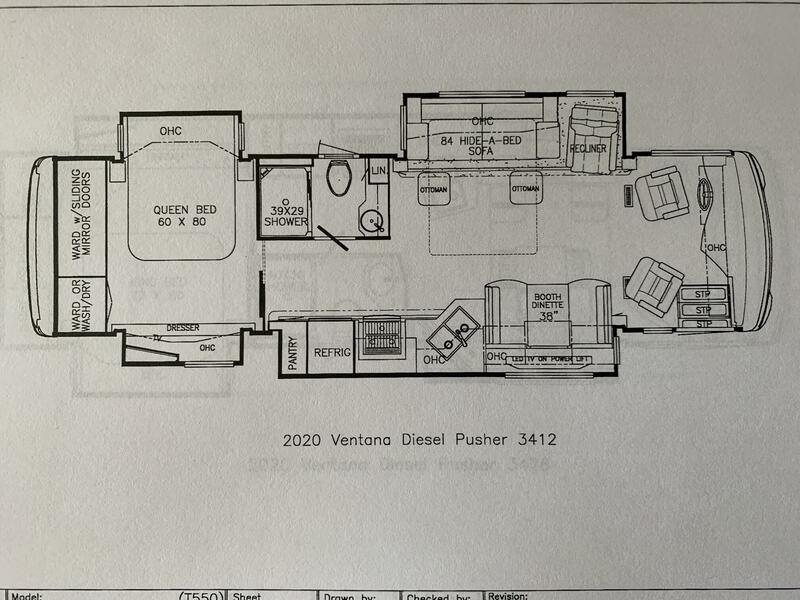 The Ventana 3407, 3412, 3426, 3709, 3717, 4002, 4037, 4054, 4311, 4326, 4348 and 4369 floor plans are retained for 2020. 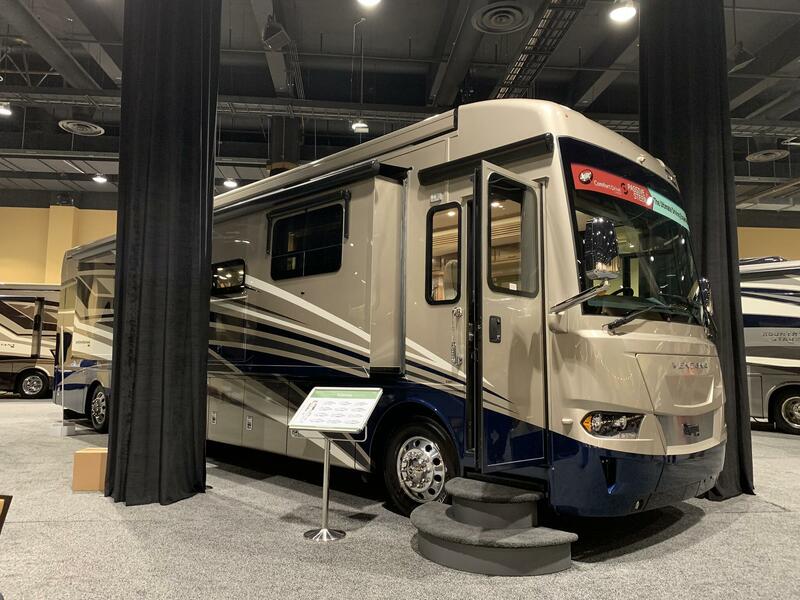 The Ventana 4310 has been discontinued for 2019. 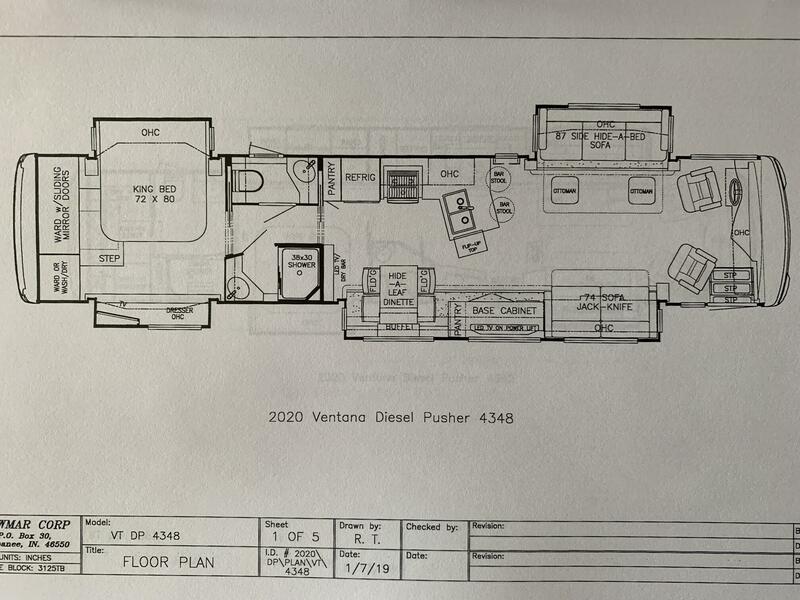 The 4326 model is still available as a bunk model for the 2020 model year. 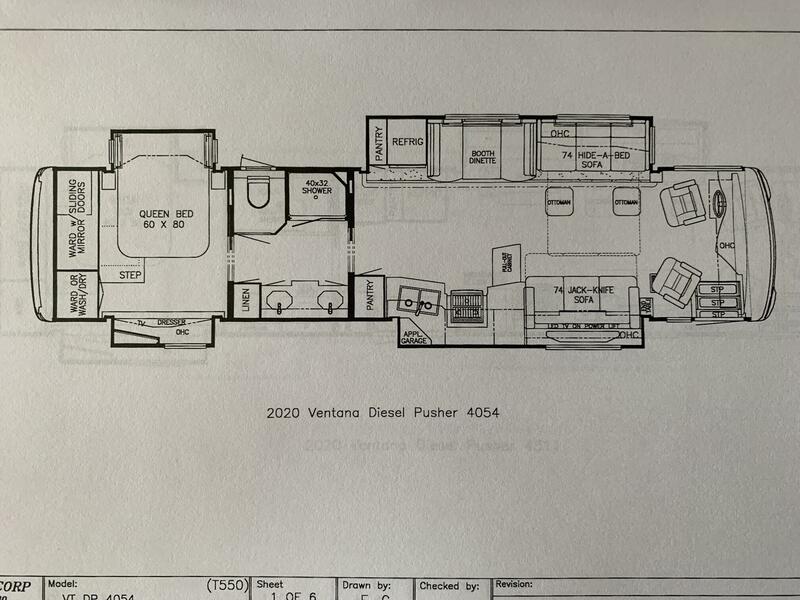 The new Ventana 4362 replicates the great selling Dutch Star model offered the last 2 model years. 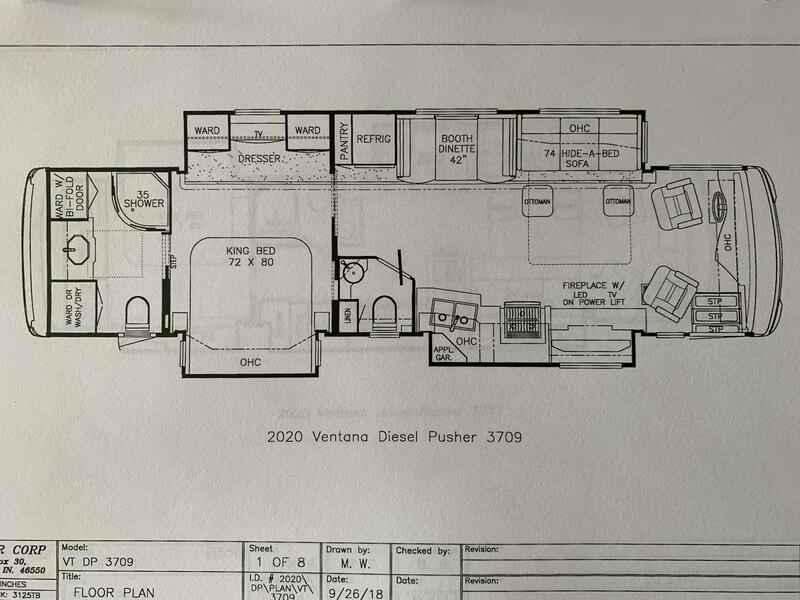 This floor plan is a full wall slide bath and a half model, with opposing sofas, a king bed and a walk in closet at the rear of the coach. 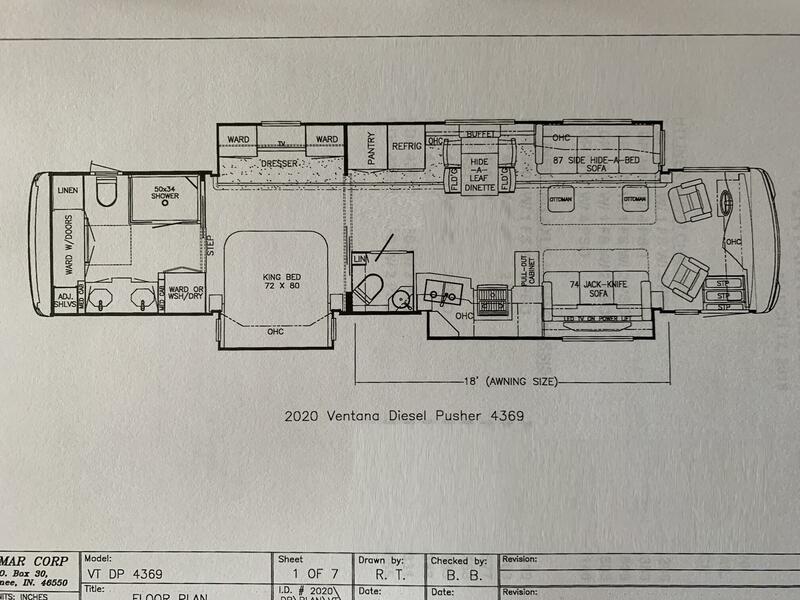 The front living space offers a 92” sofa and hide-a-leaf table, as well as refrigerator and very large pantry on the off door side in the full wall slide. 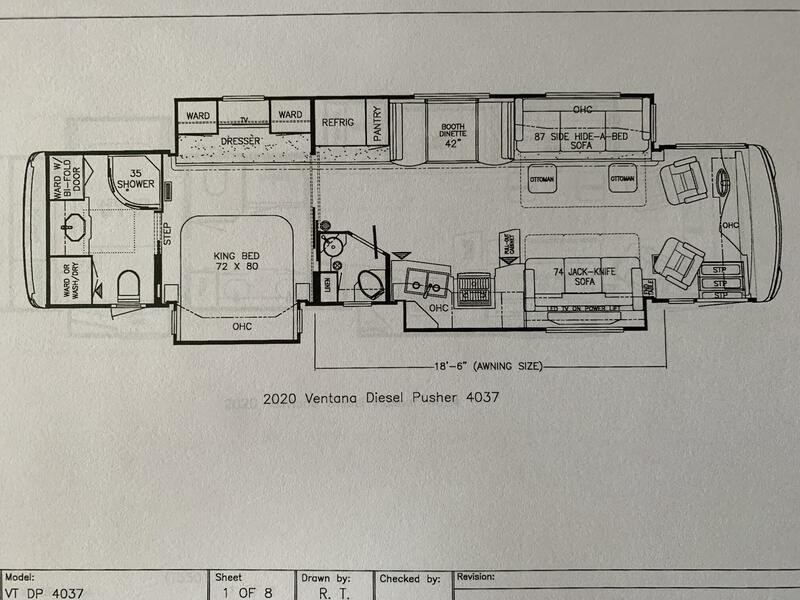 The door side features a 68” sofa with Televator and kitchen with a pull out cabinet. 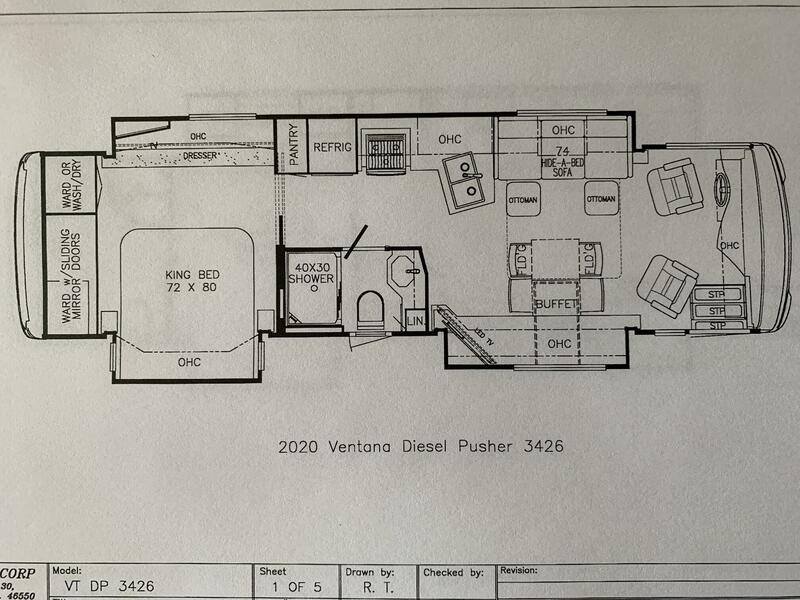 The half bath is located mid-ship and the bedroom has a king bed across from two shirt wardrobes and TV. 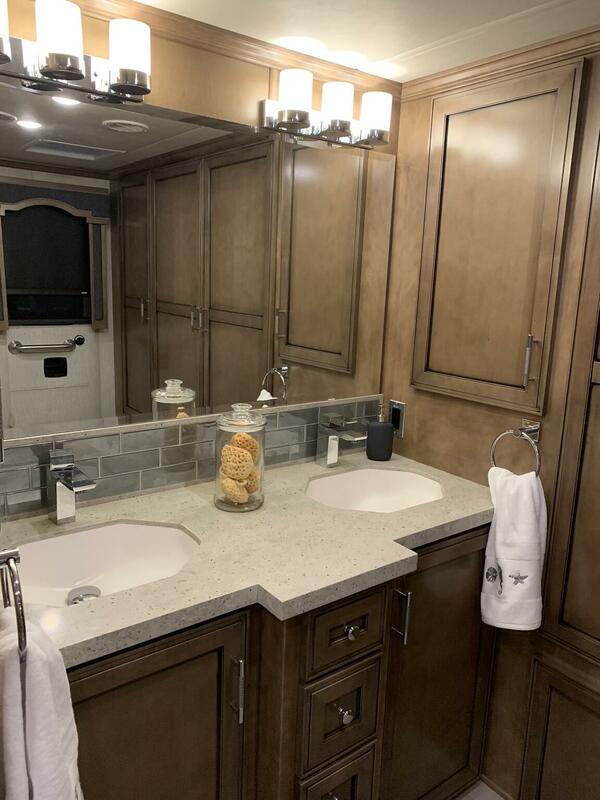 The master bath provides a 50” X 34” residential shower, vanity with sink and egress door behind the commode. A large walk in closet is situated behind the master bath and offers a space for an optional two piece washer and dryer. 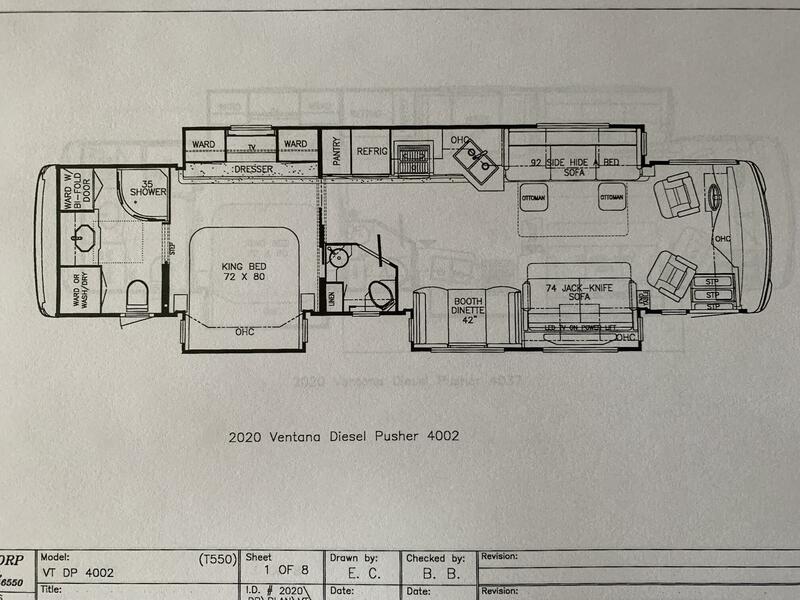 Two 15,000 BTU air conditioners with heat pumps are standard on the 2020 Ventana. The 2020 Ventana will feature Samsung brand televisions instead of the Sony brand units offered in 2019. 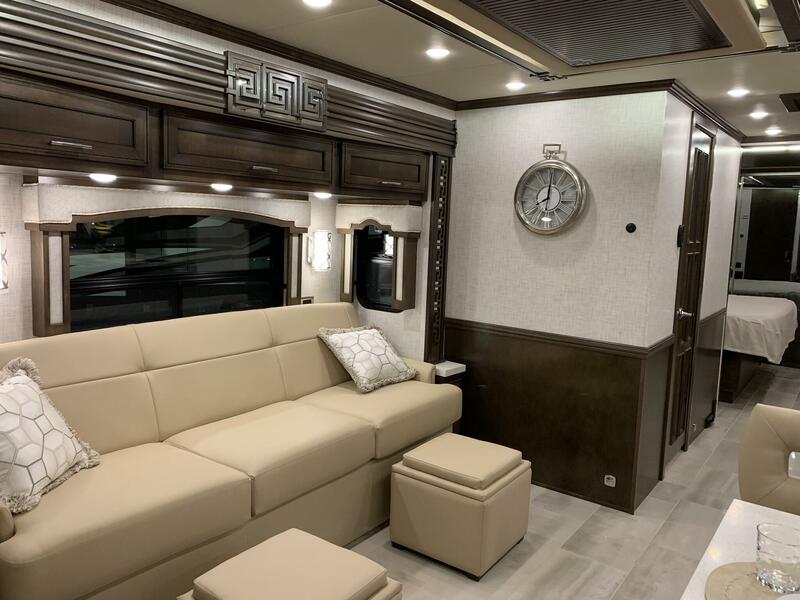 The furniture in Ventana has been restyled for the 2020 model year. This includes the front driver and passenger seats. New cabinet door styling and redesigned slide out fascias will be a highlight inside Ventana as part of the life cycle change. Soft close cabinet drawers will be a standard feature. 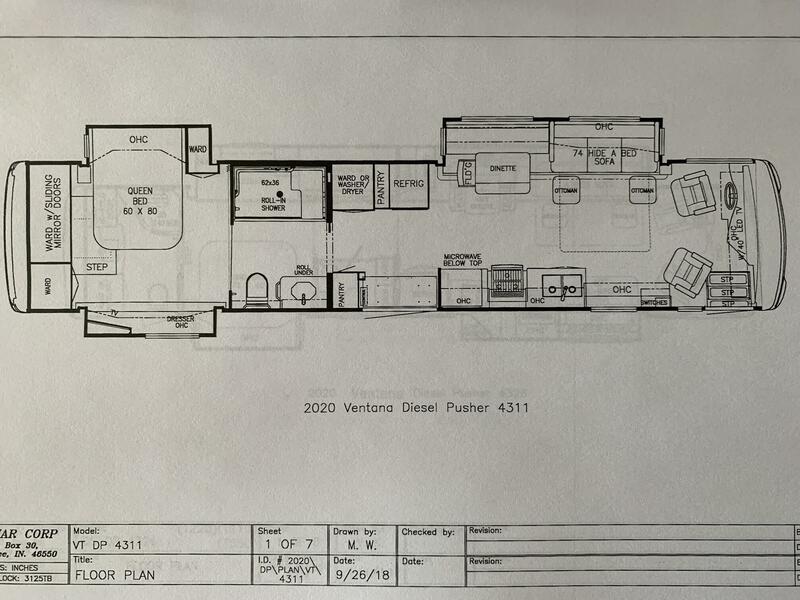 Villa Comfort Fit booth dinettes will be provided in floorplans that feature a booth dinette standard. Where dinette chairs are offered, either standard or as an option, these will be a new design as well. The bedroom will feature a redesigned headboard at the head of the bed. A new travel latch better secures the pantry doors in the 2020 Ventana. A new 4th wood grain is offered in Ventana. This will be called Glacier Maple hardwood. This new finish replaces “Wicker Maple” offered in 2019. The 2020 Ventana features a new glass dash instrument panel. This applies to the Freightliner and the Spartan chassis where available on Ventana for 2020. The transmission controls and engine brake controls have been relocated from the driver console to the steering wheel stalk on the Freightliner chassis. The location of these items on the Spartan chassis is unchanged from 2019. The Comfort Drive Steering control has been has been integrated into the digital dash menu and is controlled through the new steering wheel on the Freightliner and the Spartan chassis. New wall sconces will be featured in the 2020 Ventana. 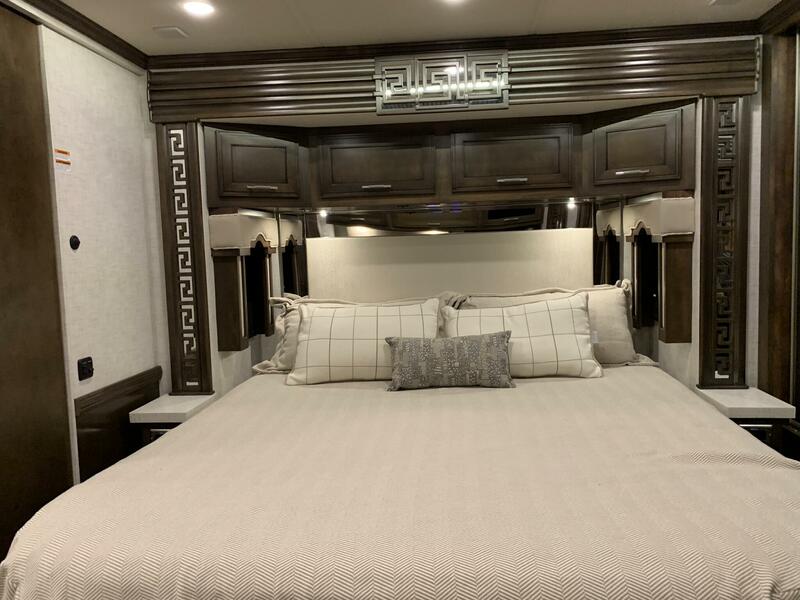 A new standard feature for 2020 is an extra 110 volt receptacle inside the cabinet at the head of the bed located in the center of that cabinet, as well as pass-through ports in the bottom of the overhead cabinet at both sides of the bed. This feature is specifically intended to accommodate customers’ requests for a way to more easily accommodate C-PAP machines. Applicable to any electrically operated toilets, the wall mounted control panel for these will be illuminated for night time use. This was a customer request frequently heard at rallies and shows. The modified sine wave inverters previously used in Ventana have been replaced with pure sine wave models for 2020. 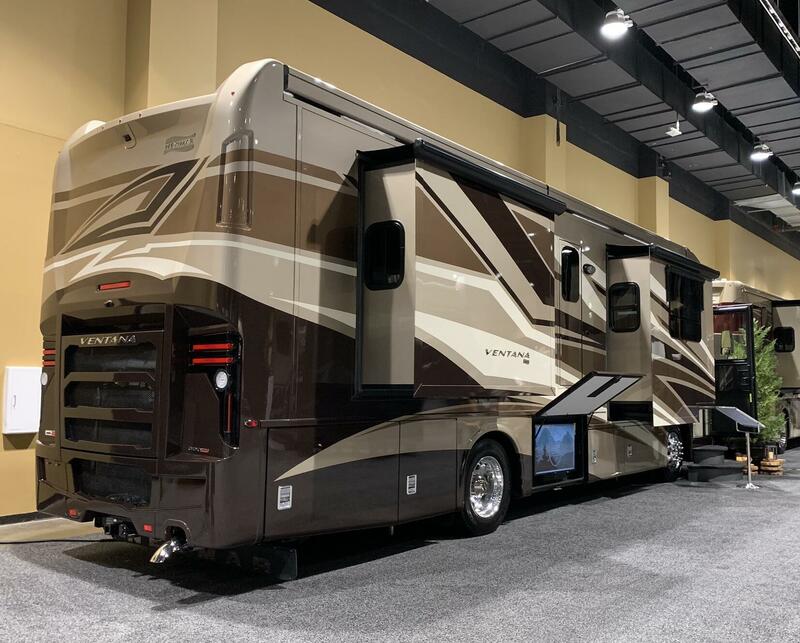 The power cord reel offered as an option in Ventana for the 2019 model year has been made standard for 2020. This optional feature was selected on 96% of all Ventana orders in 2019. The 2020 Ventana exterior is highlighted by newly styled front and rear caps. The exterior baggage doors, as well as the fenders, on the 2020 Ventana are taller in height. The new Ventana also offers new exterior graphics and colors. 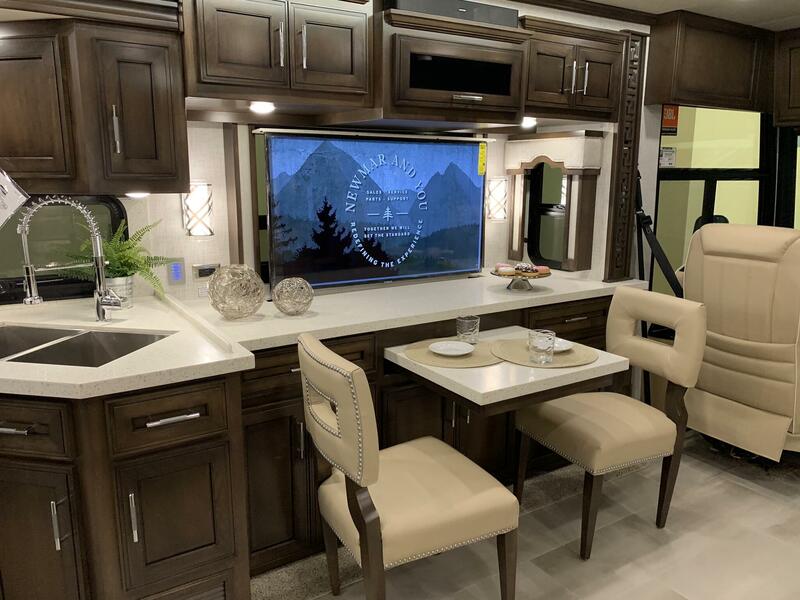 The new 2020 Ventana offers new style door & drawer hardware (w/ chrome finish ILO brushed nickel), newly designed feature ceiling, new dash colors, counter top edging, new floor tile, new wall art as well as new interior decors including new backsplash design. LED strip lighting above the kitchen slides will extend the lighting over the sofa or dinette in kitchen slides. 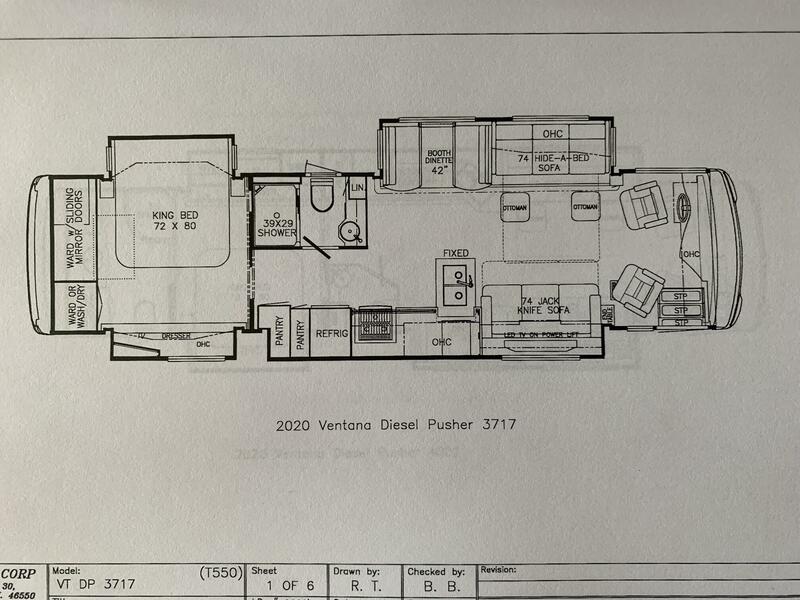 A new sink bowl in full baths (with a different geometric shape, i.e., not oval or round) will be a new highlight in the 2020 Ventana. 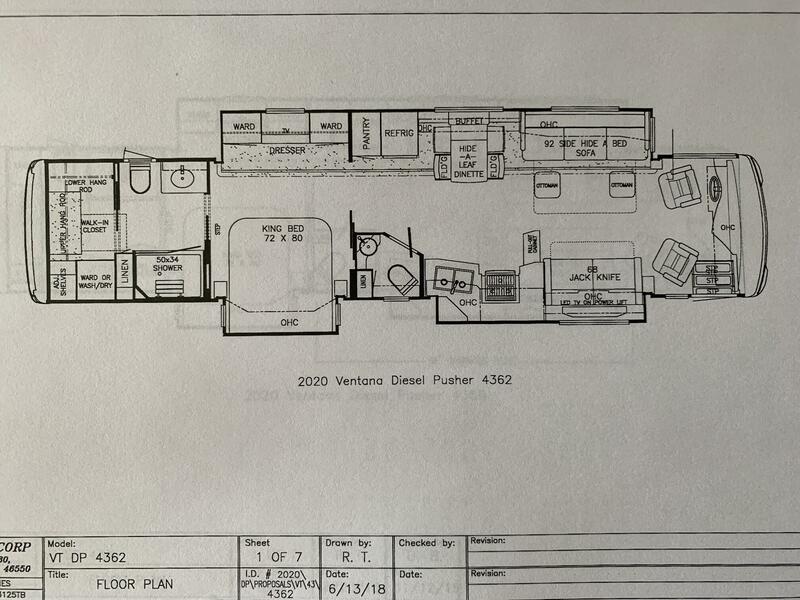 Pass through basement storage is taller by 2” on the 2020 Ventana. First exterior entry step will rest lower to the ground. 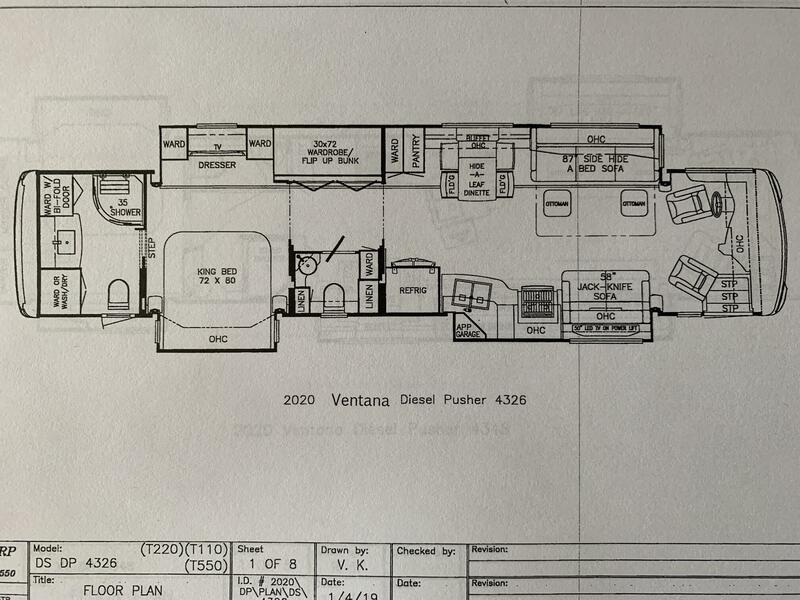 A new power electric step well cover, similar to that used in Newmar’ luxury brands, is used in Ventana for 2020. The entry step well has been redesigned as to reduce the height of the risers. The departure angle at the rear of the coach has been increased to more closely match other Newmar diesel brands. 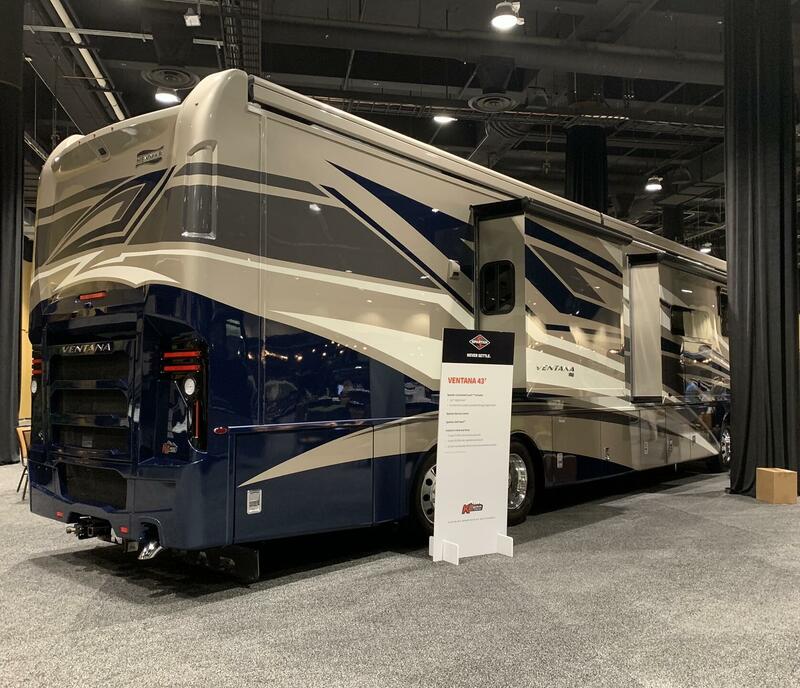 An integrated Girard G2000 side awning is a new standard feature on the 2020 Ventana. The kitchen window shade is recessed into the bottom of the overhead cabinet and the window valence has been eliminated, to allow for larger windows where possible and let more light into the galley area. The television included in the option for exterior entertainment center located in the basement has been enlarged from 32” to 43”. This is the result of the basement storage height increasing by 2 inches. A new 87” theater seating will be available to replace 87” sofas in floor plans where opposing sofas are offered. A new optional 4th wood grain is offered in Ventana. This will be called Glacier Maple hardwood. This new finish replaces “Wicker Maple” offered in 2019. A universal toll module is a new option available on Ventana for 2020. 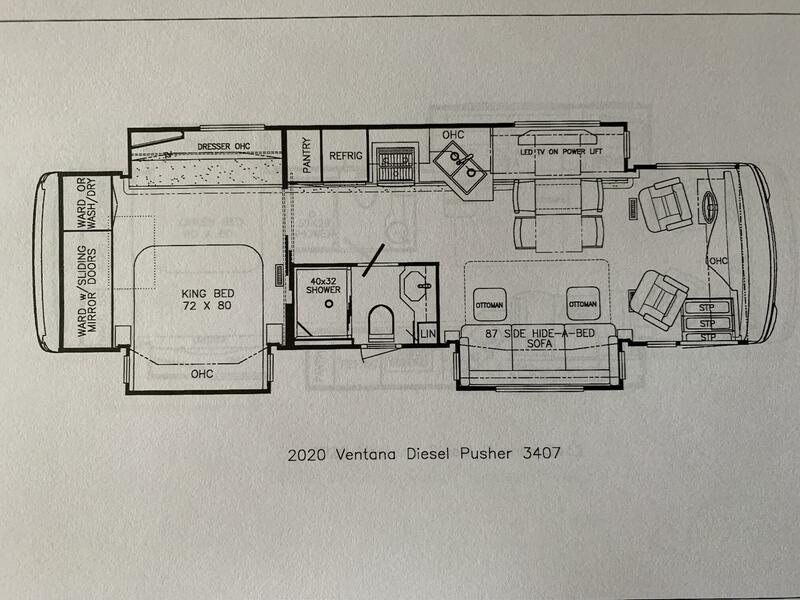 A power slide tray will be available as an option only on the Ventana 4311, wheel chair accessible model. Two Nova 2-stage patio awnings will available to replace the standard single Girard G-2000 side awning. The optional kitchen window offered in 2020 is larger than the one offered as an option in 2019. This new larger window eliminates the appliance garage where available in select floor plans. A new option for an Omniview 360 camera system is available on the 2020 Ventana. 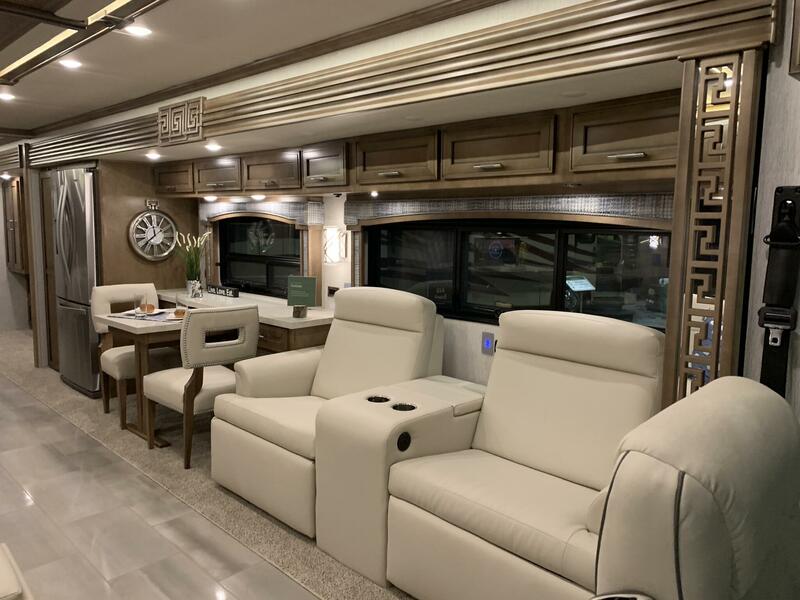 An option for the Villa Comfort Fit convertible dinette booth is available on 2020 Ventana 43’ models.